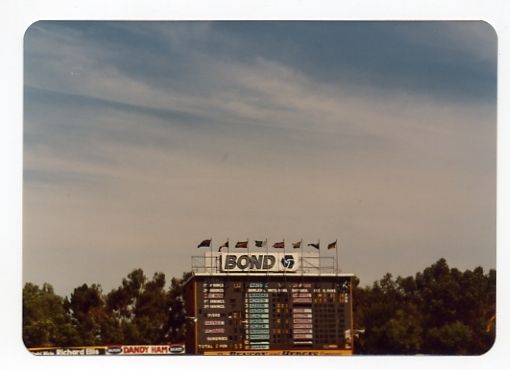 The scoreboard at the WACA was opened in 1954 after a long fundraising campaign. 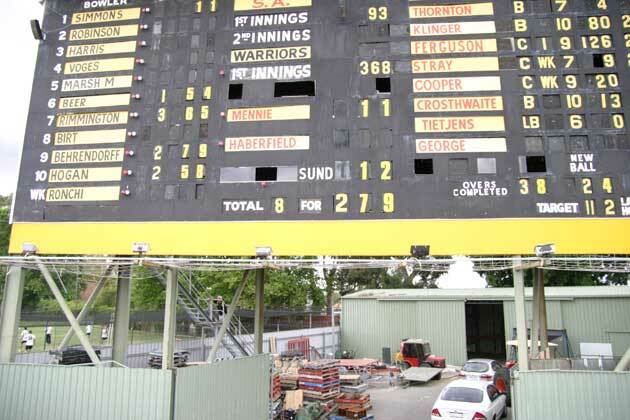 The original scoreboard built in 1908 was, from time to time, subject to ridicule for its appearance. In 1948 it was destroyed in a storm. 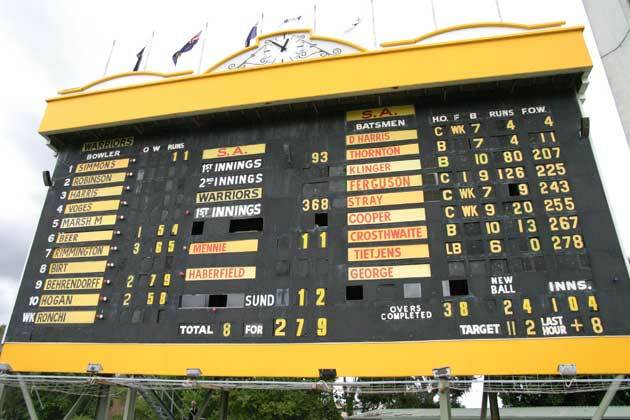 No scoreboard is more informative than the current WACA board. For a time in the late 70s and early 80s the WACA was a like a second home to me. Earlier I’d seen some good things like Doug Walters’ century in the session in 1974 and Andy Roberts at his menacing best in taking 7/54 in 1975. It was a bit more exciting in 1976 when WA made all of 77 runs to beat Queensland (62 runs) in the semi final of the one-day competition. 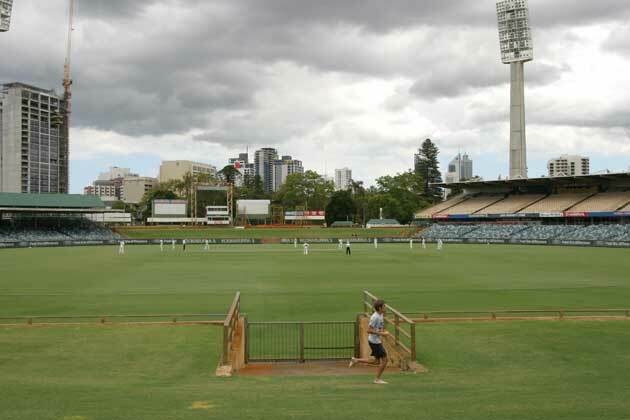 From 1980 to 1983 the WACA was my home ground. West Perth Cricket Club trained at the ground twice a week and even the lower grades played there a few times a year. It wasn’t Boycott who took me away from the WACA and in search of other things to do… a couple of afternoons watching Greg Shipperd and Mike Veletta killed me off. 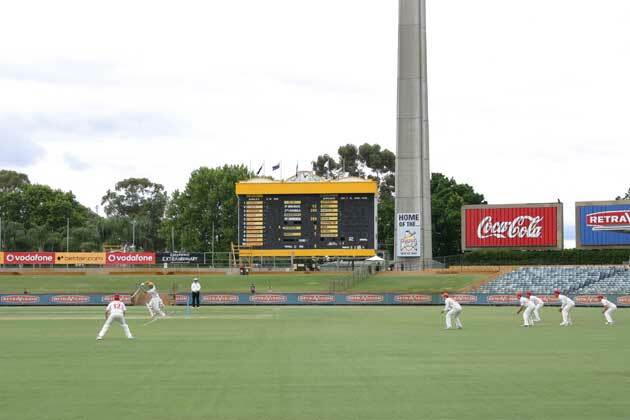 Photos from WA vs SA Sheffield Shield game December 2011 and a one-day international between India and Pakistan circa 1980.